With the holiday season in full swing—and office parties making employees everywhere feel oh so jolly—there are plenty of reasons why this year’s season is merrier than usual. For one, corporate giving is on the rise, and Mark Zuckerberg isn’t the only millennial hot on giving some of his hard earned cash away. According to the latest edition of America’s Charities Snapshot 2015, an annual national survey of workplace-centered philanthropy, 60% of large, mid-size, and small companies now offer year-round charitable giving, up from 38% in 2013. Furthermore, 89% of companies believe partnering with reputable nonprofit organizations leverages their ability to improve the community. Kick-start caring with a kickoff week. Namely is just one of many companies with a passion for philanthropy and an HR team dedicated to organizing the charitable efforts employees care about. Annie Rosencrans, a proud millennial on Namely’s People Ops team, has spearheaded the launch of Namely Cares. “It’s this broader idea: It’s an employee-run initiative aimed at driving community involvement through philanthropy and service,” Rosencrans said. The initiative organizes Namely’s innate passion for giving back, from our new hire community service activities to this year’s toy drive for the Coalition for the Homeless. 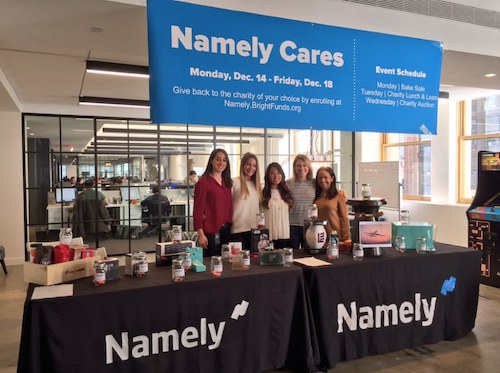 Last week, with the support and participation of Namely’s executive team and Namely Cares ambassadors (employee volunteers from every department), Namely Cares launched a kickoff week with a full roster of charitable events. Monday brought a bake sale with goodies from resident Namely bakers. Tuesday marked a pizza lunch and learn for employees to learn about the six charities that make up the Namely Fund, the recipients of all employee donations. And finally, Wednesday and Thursday brought a charity raffle. Several prizes donated from businesses and employees were up for grabs—from babysitting to stained glass coasters (employee-made, mind you). It all culminated in announcing the winners in a frenzy of Slack room messages. Rosencrans had originally set a 2016 goal of $10,000 for all Namely Cares initiatives, but that was quickly achieved in just a few days last week. A steeper milestone is in order. “We’ll be making a huge impact in the new year,” Rosencrans said. Revving up your staff with a fun launch week is only one way to get your company’s giving going. 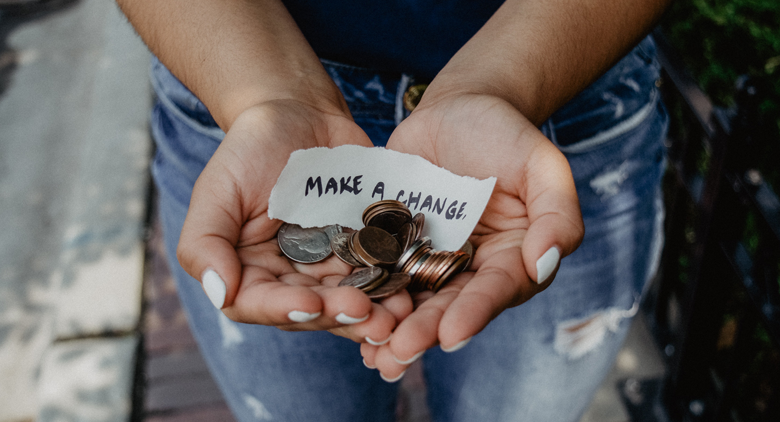 If your HR team is planning philanthropy initiatives in the new year like Namely, consider the following tips to get the most bang for your thoughtfully donated buck. Pick charities that align with your company values. Each one speaks to an aspect of our culture in a different way. For example, Girls Who Code is representative of Namely’s strong female leaders on our executive team and throughout the entire org. Plus, as Rosencrans pointed out, our engineers have a passionate coding culture. Another choice, the KIPP foundation, is committed to supporting college-preparatory public charter schools. The Namely culture is similarly passionate about letting employees grow in their roles and learn every day while on the job. Each of all six charity speaks to a cause near and dear to our company’s heart. Think about your company’s mission and values, and make sure they’re reflected in the charities you choose, Rosencrans says. And, of course, ask your people what matters most to them. Empower others to participate and frequently announce your charitable initiatives to the company—from different people. Core to Namely Cares is the team of ambassadors from across the company that help organize events, educate employees about the program, and generate enthusiasm for giving back. Not only does delegating communication make HR’s job easier, it encourages participation from the rest of the organization—and saves one person from coming across as too pushy. “My favorite part has been working with the Namely Cares ambassadors, realizing that this is something employees really want to do,” Rosencrans said. 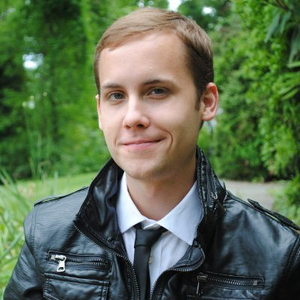 “It’s a departure from their everyday work role and people are really passionate about it.” Rosencrans also encourages ambassadors to “crash” their weekly or daily standups with Namely Cares info. Keep the giving going year-round. 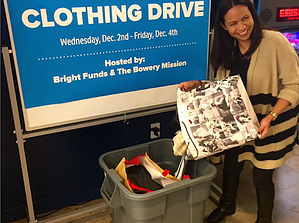 Through a partnership with Bright Funds and RaisedBy.Us, Namely now lets employees donate money straight from their paychecks to charitable causes year-round—as much or as little as they care to every pay cycle. Just think about it: One dollar from every employee's paycheck adds up really fast come year’s end. Year-round giving is on the rise, and currently used by 60% of all companies according to the America’s Charities stat mentioned earlier. And why should the giving stop after the holiday season is over? You just never know what causes your culture is passionate about until you dig in and start organizing your efforts. Giving back doesn’t just feel good: It’s good for the whole business. According to Boston College’s Center for Corporate Citizenship, companies that have corporate citizenship integrated in their culture with activities like philanthropy are 2.2 times more likely to access new markets. They also experience 2.3 times the employee retention of other companies. When employees feel that holiday cheer throughout the whole year, they simply get more done. Ravin Jesuthasan, managing director and global practice leader for Towers Watson, reports that his company’s annual international survey of 3 million employees finds no better way to boost employee morale and productivity than a sense that the company is making the world a better place. It’s HR’s responsibility to get the best out of your people. When you give employees ample opportunities to give back, say in an organized philanthropic program similar to Namely Cares, don’t be surprised if your employees’ hearts grow a few sizes larger.